BP Oil NZ managing director Debi Boffa speaks outside Parliament ahead of her meeting with Energy Minister Megan Woods about BP’s pricing tactics. Energy Minister Megan Woods talks about her meeting with BP executives and petrol pricing. BP needed to reduce heavy discounting on petrol prices in the Horowhenua-Kapiti region to meet its business model pricing levels, its New Zealand managing director says. 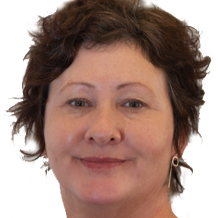 Debi Boffa was called to a meeting with Energy Minister Megan Woods today to explain BP's petrol pricing tactics in the lower North Island after an email leaked to Stuff revealed its plans. On her way into the Beehive, Boffa told reporters she would be reiterating to the minister that BP operated in a highly competitive and dynamic environment in New Zealand. "The things that are described in that email reflect that," Boffa said. "The context around that email was that we were operating in a heavily, heavily discounted market and we were working to reduce that level of discounting for our business model." Boffa said it was not fair to described BP's actions as cynical. "Our BP Otaki site was sitting at a level and operating at a level just below what we would deem a sustainable and commercial return for our business model. Up the road at Levin, our BP site was operating in a highly discounted market and was substantially below that level. Further south at Paraparaumu and Kapiti our site was also discounted and operating at below that level," Boffa said. "The action that we, BP, took at that time, was to reduce the level of discounting across the Horowhenua and Kapiti area and get us closer to that sustainable level of return. It was never our intention and we never went over that level at the expense of the New Zealand consumer," she said. She declined to answer further questions before making her way inside. Stuff reported that in the email, a BP pricing manager outlined a plan to counter dwindling sales in Otaki, where the price of fuel was 20 cents more expensive than in nearby Levin. Instead of reducing the price in Otaki to make the station more competitive, the manager proposed an increase of the fuel price across the entire region, with the expectation that competitors would match the new price. Speaking to reporters before the meeting today, Woods said it looked like a "pretty cynical move" and she wanted to hear BP's side. She said there was no question that what BP was doing was legal. "What I've said all along is that this seems to be, on the surface, like a pretty cynical act and I just want to make sure that I understand BP's side of the situation as well." Prime Minister Jacinda Ardern said today consumers were right to ask questions about whether the tactics were fair. "I think there are questions for BP to be answering," she told reporters. The Commerce Amendment Bill before currently Parliament will allow the Commerce Commission to compel petrol companies to provide information on its pricing. Ardern said it was necessary to build some evidence on what was happening before the Government made any changes. "People certainly have a sentiment, a sense that things don't feel fair. We want to strengthen the Commerce Commission so they can do those market studies, build that evidence and based on that, then we'll make decisions," Ardern said. National's energy and resources spokesman Jonathan Young said there was already a solution available to enforce competition between fuel companies, so the Government should get on with putting it in place. "We made the decision while in Government to give the Commerce Commission appropriate market study powers which will help keep prices lower." Auckland Council this week voted in favour of an 11.5 cents per litre regional fuel tax to help pay for transport projects. National's transport spokesman Jamie-Lee Ross said hauling in BP just highlighted the much larger impact regional fuel taxes would have. "Now the Government is saying there is nothing to stop fuel companies making consumers in places like Invercargill from paying for the Auckland regional fuel tax," he said.